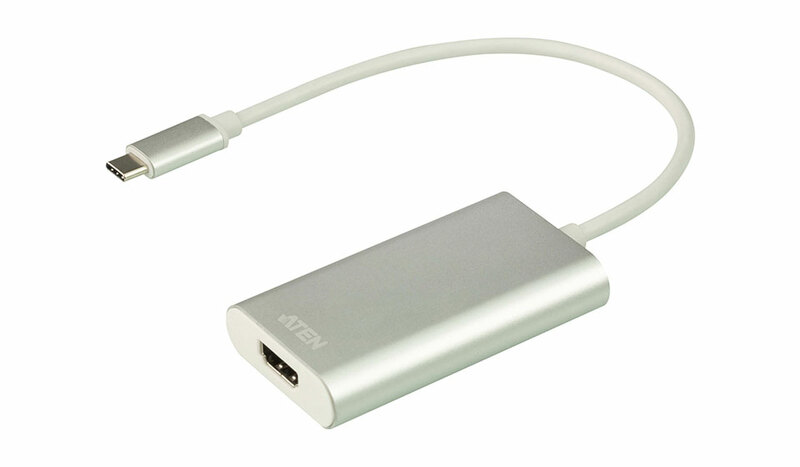 The ATEN CamLive is an HDMI UVC Video Capture device designed to send unencrypted HDMI video to your USB-C or Thunderbolt 3 laptop (or USB-A with the included adapter). 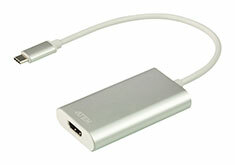 It’s compliant with the latest USB 3.1 Type-C specification. CamLive is designed to Plug & Play. 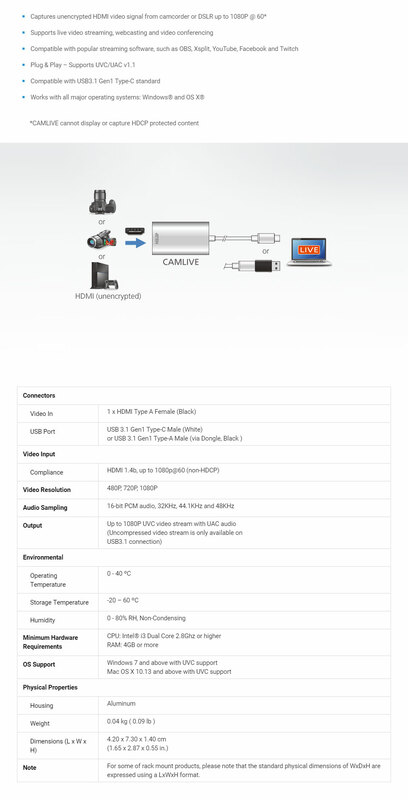 Its built-in UVC and UAC standard support allows system operation without installing drivers and, at the same time, delivers eye-popping, high quality video on Windows and Mac systems at 1080/60fps. By sending captured RAW data, you can enjoy video editing or live streaming with various popular third-party video-editing software/platforms - Open Broadcaster Software (OBS), Xsplit, Twitch, YouTube, Facebook, to name a few. Having a slim and aesthetic design, CAMLIVE provides you with an enjoyable, high-quality live streaming/video editing experience with style whether at work or on the go.